Just found out Observer passed away last night. My thoughts are with Green Menace and his family. A long time and loyal Tulane fan and fellow Greenbacker who will be missed. Condolences to Menace and family. I didn't know him personally but he stood out among posters here. 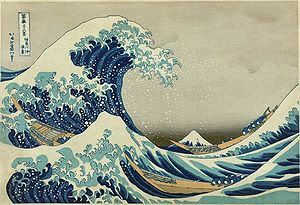 Land of the Free...........................Home of the Wave! had no idea he was even sick. May he rest in peace. Godspeed, Observer. Just found out (thanks Big $). D@mn. This one hurts. My heartfelt condolences to his family, which on this board means my friend Green Menace. I'm going to run off at the mouth now. I've known Howie for 30 years. In those great pre-internet days Howie was the go-to guy for inside information. He wasn't as boisterous as a lot of the Greenbackers - he could seem almost clinical at times - but his love for the Wave was bone deep. Fans of a certain generation will remember his debates on local (public access?) TV with LSU fan and all-around pill Augie Cross. One of the booster clubs actually ran a transcript of their debates in their newsletters. I remember those club meetings at the old Monk Simons building. If Howie was there, the highlight for many fans was the time before the meeting started. That was when you tried to pump Howie for information, of the sort that isn't always on the internet even today. He rarely - no, he never - disappointed, even if the info wasn't good news. And this sure isn't good news. Once again, we have to mourn the passing of one of our own. That happens to everyone but for Tulane fans that means a small community is a bit smaller. And for fans like me and those older than me it's one less connection to that time when Tulane had a massive community of local fans. If we had kept it together, we'd have been in a BCS league from the start. Watching a game with Howie was d@mn fun. I didn't do it enough. And now I can't. Think about that in your own lives. I also never asked Howie one question, probably because I knew I'd be able to do it eventually. I wanted to ask him about the beginning to one of our football coaches shows back in the early 80's. In that year, the beginning was a bunch of Tulane fans - of the sort we don't really have anymore - standing in front of a bar in their gear and shouting out The Hullabaloo. We've had debates about that cheer on these forums. Well, the beginning of that coaches' show? THAT was the way you did The Hullabaloo. I always wanted to ask Howie if he was one of those fans, who the other guys were (we'd be lucky if any of them are still around), and what bar that was (could have been the old Bruno's). I hope someone can answer those questions because I squandered that opportunity. 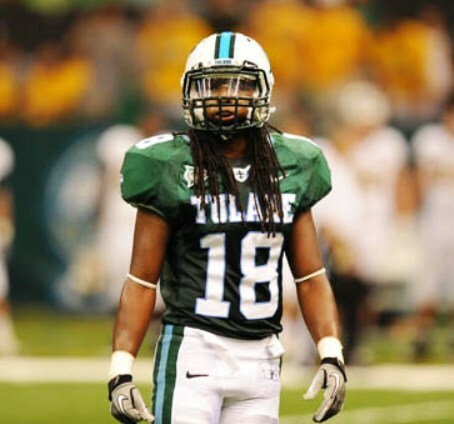 And just like when we mourned the loss of Wayne Picou, I have to mention that Tulane has squandered the opportunity to give Howie Farrell Sr. the teams he deserved. He deserved championships. While he is still a living memory, let's do that for him. Oh my gosh. I just saw this. He just posted on here in the last day or two? And talked in the last few weeks about how he was thinking about moving back downtown? This seems so out of the blue?!?! this is sudden and recent enough that there is no information about funeral arrangements at this time. That hurts. It is a huge loss. I never met him, and I only know him through his posts here, but his passion and common sense have been a major part of this forum from the beginning, and we will miss him. Is it public what the cause was? Condolences to Green Menace and his family. A sad day for the Tulane family. My deepest sympathy and condolences to Menace and his family. Wow. Just checked. He posted here yesterday morning. A true Greenie to the end, no doubt. RIP, Observer. My condolences GM. Whenever he posted I made sure to see what he had to say. His love for the Green Wave shone through. We need more like him. God bless him. This is indeed a huge loss for the Green Wave fan base and this board. To echo what many have said, he had tremendous insight and dedication. I remember back in the infancy of the internet that Howie was a great source for "the real story" behind what was going on in Green Wave athletics. It actually makes me sad, deep down, that Howie won't get a chance to see us play in the Big East and beyond.... at least not by our side. His view from the skybox may be better, but none of us will be able to hear or read his commentary any more. This is a sad day, indeed. As others have said, when you saw a post from Observer you were sure not to miss it. To Howie Jr., brother, we will always love and miss your Dad. My Lord, what happened, a heart attack, was he sick. I have been a TU Greenbacker member since the Mack Brown days. Among many other annual Greenbacker traditions was the post- Roberts Bar "decoration" of the Tulane locker room the night before Thanksgiving, and the week of the LSU game, to fire up the troops. While in there one night, Howie (Observer) and I put on helmets and "tried them out", so to speak, with Howie being slightly injured. He always called me Cheap Shot after that, although it wasn't one and he knew it. We had many, many long and frank talks about Tulane athletics and a variety of other topics. A genuine, wonderful fellow and a good friend. Rest in peace brother Howie. Oh no! This just can't be...Howie was one of my favorite to see at practice. He would always give me great advice on where to eat. I am so sorry GM, I met your dad at the first practice that Wilson and I came to. He was truly a man's man-the world and certainly Tulane is poorer today. Howie was a great poster. Yes, he and I have had some disagreements in the past, but that's part of being human. My thoughts are with Menace and his family right now. It's never easy to lose a loved one. For those that don't know, my dad died from an aortic abdominal aneurysm that ruptured. He was in surgery for nearly 4 hours but they couldn't stop the bleeding and his pressure kept dropping. He never made it off the operating room table. He was not sick and there were no symptoms. Tuesday he was a vibrant working man and Thursady he was in a coffin. Again, thanks to all for the heartfelt sympathies. Services are Monday at 11am with a 2pm mass and burial following. All are welcome. We are expecting some snow and wind here in Charlotte tonight, so I pulled my Tulane flag in from the upper porch in front. When I put it back tomorrow, I am going to have it at half mast for Howie. I will post a photo.